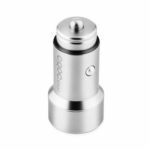 The Lenovo HC06 5V/8A 5-Port USB Quick Car Charger provides 40W 8A rapid charging supporting up to 5 devices simultaneously. It is compatible with almost all kinds of smartphones, tables and other USB devices. 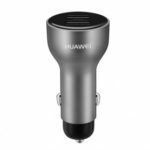 Featuring special technology, this car charger will recognize your device and distribute appropriate charging current. DC 12-24 V input enables it compatible with all standard cigarette-lighter sockets. Allows 5 devices charging simultaneously, compatible with almost all kinds of smartphones, tables and other USB devices. No more worries about your power-off devices. Support 5V/8A total output and 2.4A max for each port, charge your devices at their full speed. 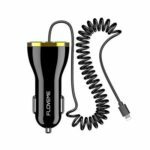 This car charger will recognize your device and distribute appropriate charging current, charge them in the most efficient way. 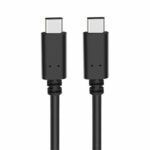 Long charging cable allows you to charge at anywhere in the car, especially convenient for rear passengers. Built-in temperature, output overcharge, output overcurrent, short-circuit, input overcurrent and overcharge protection, completely protect the devices connected. 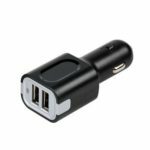 DC 12-24 volt input compatible with all standard cigarette-lighter sockets, all can be charged easily.